This affordable 1-bedroom studio is part of a newly project just 250m away to the lovely Nai Yang Beach. The location is ideal only 5 minutes drive from Phuket International Airport. The Project consists of seven different seven-storey buildings located on a large land plot and surrounded by beautiful green areas. There are five large swimming pools at ground level in the gardens for all guests and residents to enjoy as well as a Sky Pool. Other on-site facilities include a fully-equipped fitness centre, a sauna, pool for kids. 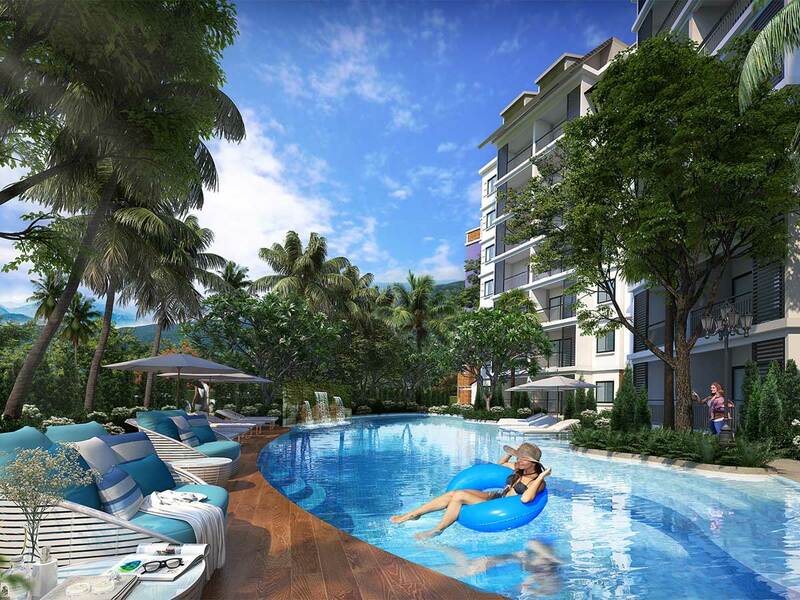 All of the apartments in the first phase are one-bedroom units, the most popular sizes for buyers on the island. 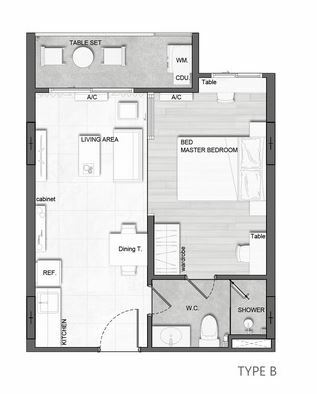 There are three different sizes of one-bedroom apartments for buyers to choose from, from 36 to 46 sqm. But what really makes the is project very special is the incredibly attractive prices. In fact it’s hard to find better opportunities for studio and apartments close to the beach in the island. It’s also an ideal project for investors looking for rapid capital increase. Buyers can also enroll into the optional rental management scheme with the onsite management company to increase the return on investment – 7% Guaranteed Rental Return for 3 Years. 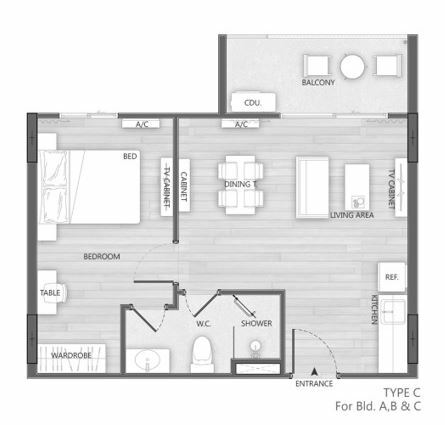 This 1-bedroom studio are selling quickly due to the currently very attractive prices and there are now only a few units left. Don’t miss out this opportunity and contact us today for a visit. 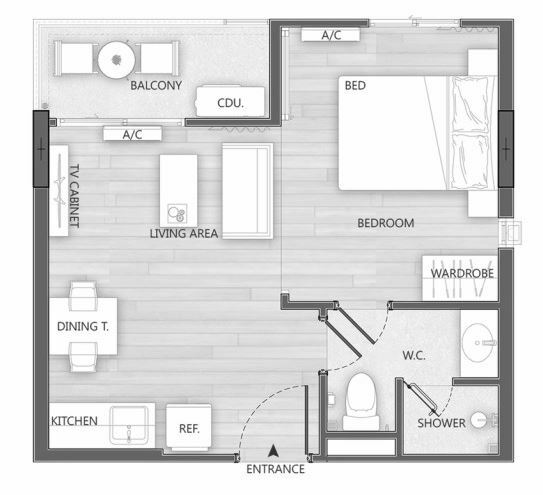 Type B: 39 sq.m – 3,892,200 THB – 1 unit left! 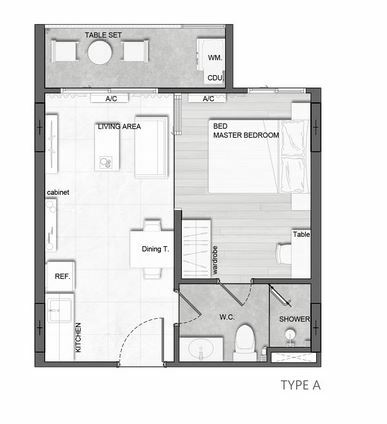 Type C: 46-47 sq.m – 4,590,800 THB – 1 unit left!